Do you know what search engine optimization is? If you do know what this phrase means, you are better off than most people who are trying to advertise their business. If you don’t know, there is many a search engine optimization firm that will try to teach you in return for giving your business to them. So what exactly is search engine optimization? 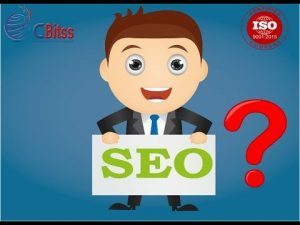 Search engine optimization is getting your business or website to the top of the search engine results by using certain keywords and other advertising techniques to help you out. If you are going to use a search engine optimization agent, who is going to basically do the work for you, you may have to pay a lot of money, depending on what type of company you have. Certain companies are going to be more expensive to promote and other companies, just because they are in a very competitive area. For example, if you are selling clothing, the costs of a search engine optimization campaign is going to be larger than if you are selling something less common like coffee filters. More people search for clothing on the Internet than they do for coffee filters, which means that a search engine optimization company is going to charge you more money for this type of campaign. Search engine optimization can get you to the top by increasing the number of people who click on your website. You may not know this, but the order of the website search results are listed by surfer popularity. This means that it is difficult to get to the top, but once you are there and have a quality business, you are likely to stay there. A search engine optimization firm is going to find out who your competition is, do a bit of link tracking and then find out what the best keywords are for your website. 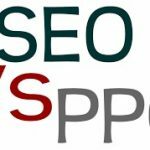 If you are dealing with a reputable search engine optimization agency, they are not going to recommend using keyword spamming, which can leave customers to your website very frustrated and annoyed. Keyword spamming is going to bring a lot of traffic to your site, but it is also going to bring a lot people to your site that just aren’t interested in what you are offering. For search engine optimization, you really have find a search engine optimization company that knows what they’re doing and can bring the right type of customer to your company. If you don’t get the right type of customer, you are not going to get an increase in business. In fact, having the wrong type of search engine optimization can actually hurt your business, making your website look disreputable and cheap.